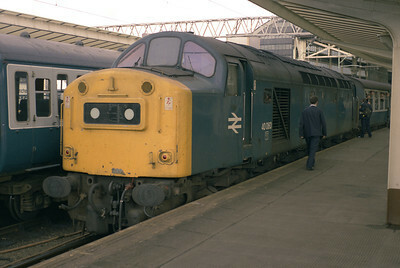 40012 "Aureol" pictured at Manchester Piccadilly with the 13.24 from Skegness 25/8/84. 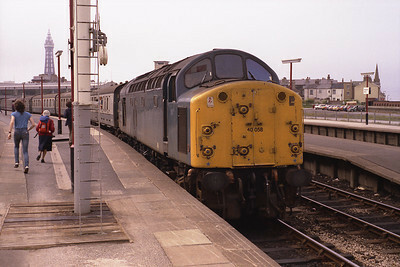 On Sunday 15/7/84 Barrow carriage sidings was home to 25257 + 25322 waiting to work a return charter from Grange to Weston Super Mare, and 47205 which would work the 21.50 to Crewe. The daily Heysham Moss-Haverton Hill amonia tanks approach Carnforth behind 31275 + 31200, 9/6/84. 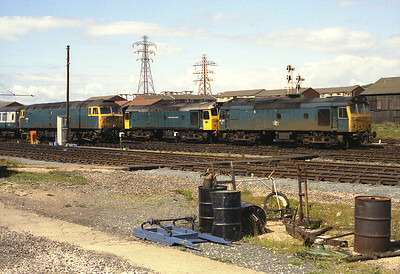 31290 and 25202 were parked side by side at Oxenholme during engineering work 15/4/84. 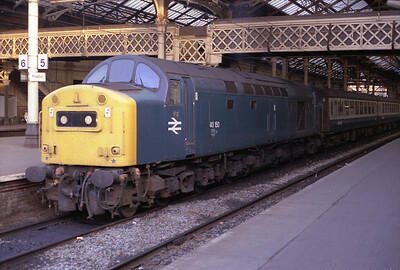 37030 rests at Manchester Piccadilly after hauling the 13.24 from Skegness 7/7/84. 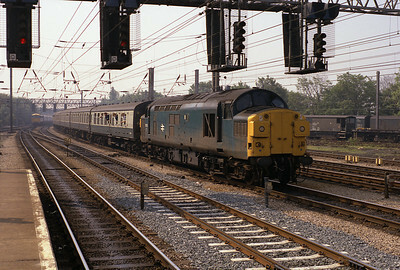 37032 passes Preston with the 07.49 Sheffield-Blackpool 9/6/84. 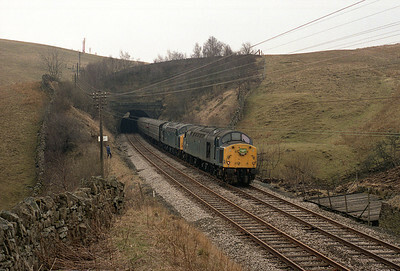 40009 + 40033 haul the "Leuchars Aid" railtour through Birkett tunnel 7/4/84. 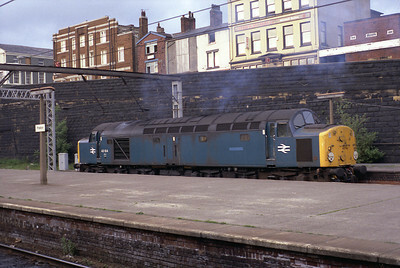 40135 waits departure time from Blackpool North with the 12.15 to Newcastle 8/9/84. 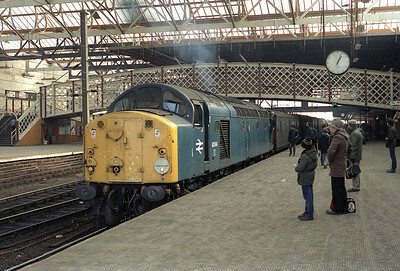 40122 stands in Carlisle station sometime in 1984. 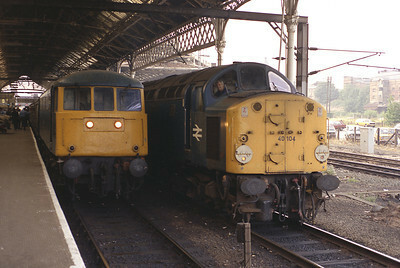 The summer dated 16.20 Glasgow/16.10 Edinburgh-Liverpool has just arrived in Preston behind 81004 on 17/8/84. 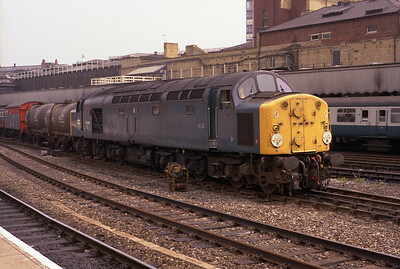 40104 waits to take over. 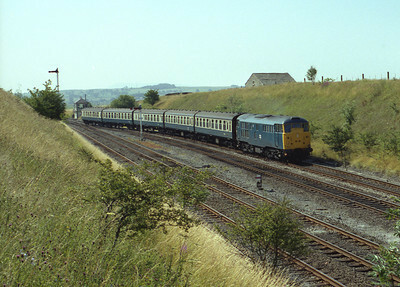 31444 Takes the Carnforth line at Settle Junction on the 08.54 Hull-Lancaster 25/7/84. 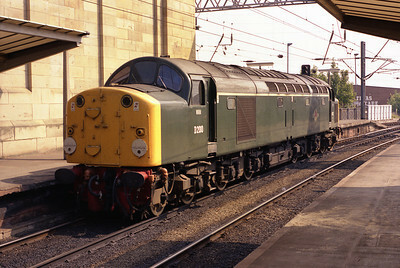 40150 waits to depart Preston with a service to Barrow, July 1984. 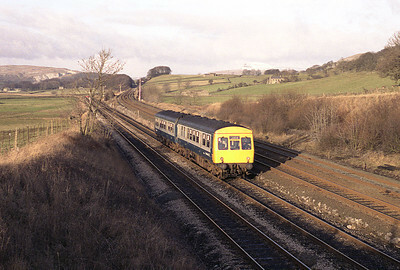 Met Cam class 111 DMUs E51550+E51558 approach Settle Junction with the 13.18 Lancaster-Leeds 8/1/84. 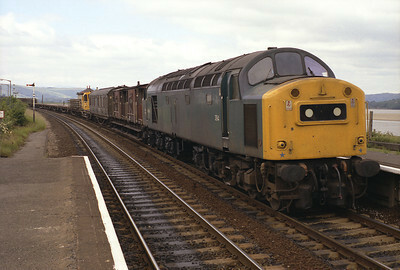 40194 heads a Sunday engineer's train through Arnside 1/7/84. 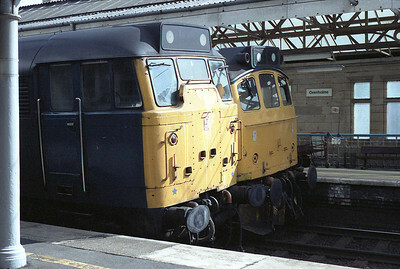 An unidentified 40 and 25 are parked at Lancaster during summer 1984. 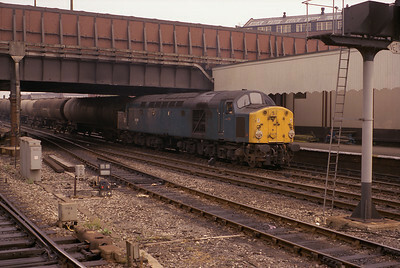 40028 hauls a westbound freight through Manchester Victoria 20/7/84. 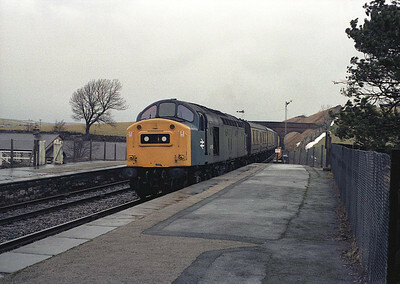 40028+40086 arrive at Garsdale with the "Border City" railtour 24/3/84. 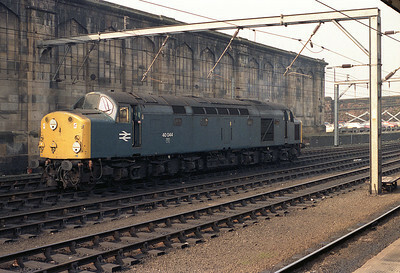 40044 is about to depart Carlisle with the Stranraer vans 18/2/84. 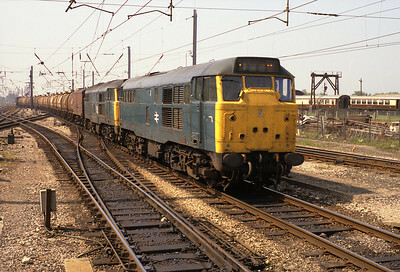 40044 blasts out of Carlisle with the Stranraer vans 18/2/84. 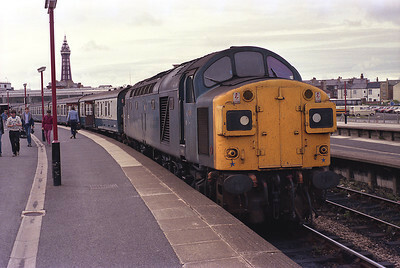 40058 is about to leave Blackpool North with the 12.15 summer Saturday train to Newcastle via Manchester 16/6/84. 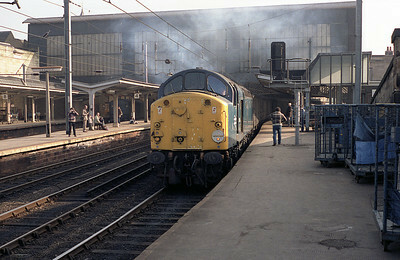 40044 is stabled at Carlisle 18/2/84. 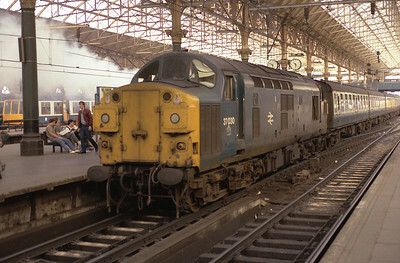 40060 waits to depart Manchester Piccadilly with the 08.15 to Skegness 23/6/84. 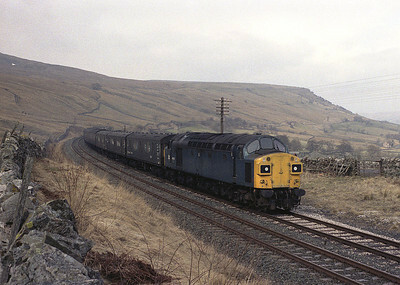 40060 slogs through Kirkby Stephen with 17 vans in tow, Sunday 5/2/84. 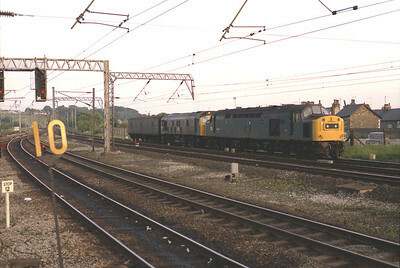 A westbound tank train passes Manchester Victoria behind 40091 20/7/84. 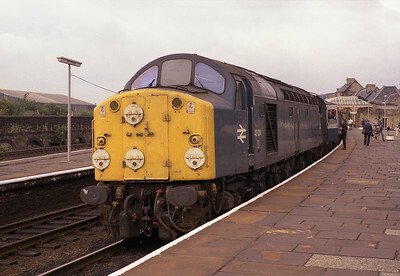 40104 pauses at Skipton with the 10.40 Carlisle-Leeds 14/7/84. 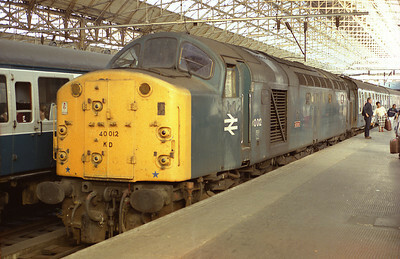 40104 stands at Preston in 1984. 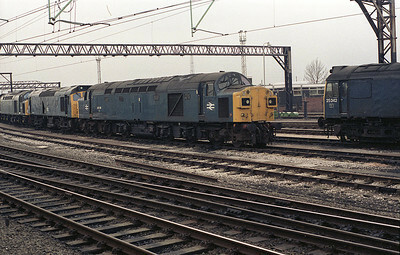 Photographed from a passing train, a rather battered 40126 stands at Crewe early in 1984. The highlight of the regular winter Sunday S&C diversions was this lengthy van train which often produced a 40. 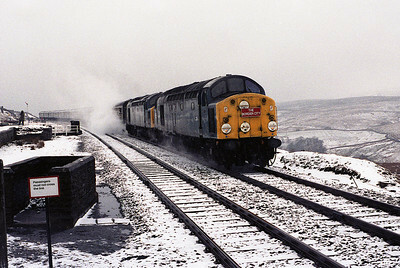 On 18/3/84 40129 grinds up to Ais Gill with load 18.